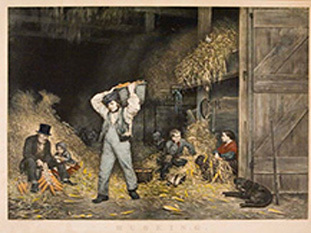 Image size 14 1/4 x 20 1/8" (362 x 511 mm). Publisher : Published by Claes Jansz Visscher	"C J Visscher e. cudebat" below central title. The image is after Martin de Vos, a late 16th century Flemish painter. Claes Jansz Visscher (1587-1652) engraver, mapmaker and publisher. 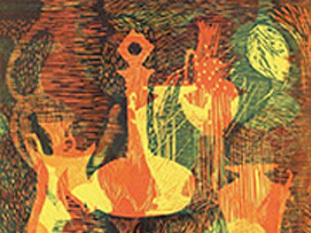 He learned the craft of printmaking from his father Nicolas Joannis Visscher. Claes Jansz Visscher would become a major published in of prints and maps during the Dutch golden age. The business continued for several generations before closing in 1726. His son Nicolaes Visscher, grandson Nicolaes Jansz Visscher. Marten de Vos (1532-1603) was a noted Flemish artist strongly influenced by the great Renaissance masters. Among his patrons were the Medici family. 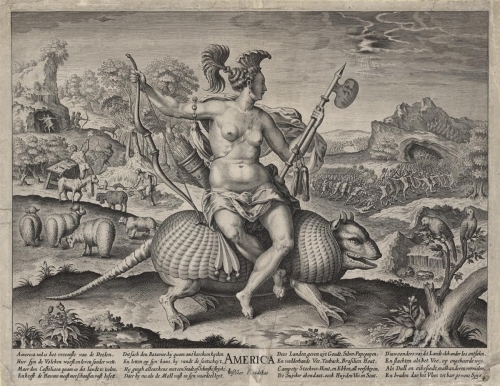 He created this striking allegorical image of America as an Indian maiden seated on an armadillo as one of four continental figures meant to decorate a triumphal arch. Rough translation of the title "America is by far the strangest continent; Here people live as lawless savages... The inhabitants of this land take each other's lives and slaughter each other like cattle in an unheard of manner. Like mindless and innocent animals, they destroy each other, They roast the flesh as their usual fare."